As some religious institutes collapse, the surge in vocations elsewhere has led other orders, largely unknown in the united states, to assume greater importance in the life of the Church. Over the past 45 years, women’s religious communities in the United States have suff ered a freefall in membership. There were 181,241 American nuns in 1965, 153,645 in 1970, and 92,107 in 1995. According to the Annuarium Statisticum Ecclesiae (the Vatican’s statistical yearbook), the number fell even more between 2002 and 2007, from 73,704 to 63,250. The number of American nuns has thus declined by more than 65 percent since 1965. The United States is not alone. According to a 2000 study by Rodney Stark and Roger Finke, between 1965 and 1995 the number of nuns plummeted by 46 percent in Canada, 44 percent in France, 48 percent in Germany, 43 percent in Great Britain, and 51 percent in the Netherlands, fi gures on par with the 49 percent decline in the United States during the same time period. Between 2002 and 2007, the total number of professed women religious in Canada, France, Great Britain, Germany, and the Netherlands further declined by a combined 19,797. The nuns dying in these nations are not being replaced by large numbers of postulants and novices undergoing the initial stages of religious formation before the profession of vows. In 2007, there were only 198 postulants and 267 novices in the United States in women’s institutes of pontifi cal right—that is, institutes ultimately under the authority of the Holy See rather than the local bishop, typically because they have a presence in more than one diocese. 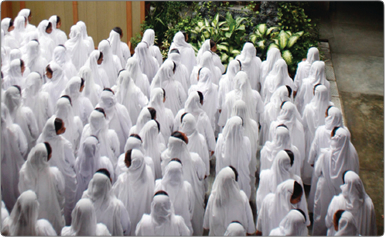 (72 percent of the world’s women religious belong to institutes of pontifi cal right.) Likewise, in 2007 there were only 14 postulants and 18 novices in institutes of pontifi cal right in Canada, 107 postulants and 136 novices in France, 25 postulants and 51 novices in Germany, and 15 postulants and 19 novices in Great Britain. There were three postulants and no novices in institutes of pontifical right in the Netherlands. The decline of women’s religious life is not restricted to the United States and fi ve other nations. In all, between 2002 and 2007, the number of professed women religious declined by 37,947 in Europe, 14,686 in North America, 5,880 in South America, 1,012 in Oceania, and 358 in Central America. The collapse of women’s religious life in these parts of the world is not the entire story. Between 2002 and 2007, the number of professed women religious increased in 99 nations. The numbers of nuns increased by 13,542 in Asia, 7,906 in Africa, 370 in the Middle East, and 1,947 in the Caribbean, though missionaries who have served in the Caribbean questioned the official statistics in comments made to CWR. The gains in the 99 nations, however, were not enough to offset the declines elsewhere. Between 2002 and 2007 the number of professed women religious worldwide fell from 782,932 to 746,814—a decline of 4.6 percent. As some religious institutes collapse— according to the Annuario Pontificio, the number of Sisters of Mercy of the Americas fell by nearly 9 percent between 2006 and 2008—the surge in vocations elsewhere has led other orders, largely unknown in the United States, to assume greater importance in the life of the Church. Numbering 9,857, the Order of Discalced Carmelites is the second largest women’s religious institute. With convents in 70 nations, the Carmelite nuns follow in the footsteps of St. Teresa of Avila and St. John of the Cross by pursuing the contemplative life while offering prayers and penances for the Church’s missionary efforts. With the strongest presence in nations where religious vocations are on the wane—there are 81 houses in Spain, 73 in Italy, 65 in the United States, and 56 in Brazil—the ranks of the Discalced Carmelites declined by 245 between 2006 and 2008. Founded in Cuba in 1855 by St. Anthony Mary Claret and the Venerable María Antonia París, the Claretian Missionary Sisters educate youth, engage in missionary and parish work, and serve in a wide variety of other apostolates. The 7,463 sisters work in two dozen nations—most in Central and South America—and gained a remarkable 541 members between 2006 and 2008. Almost unknown in the United States, the Indian-based Franciscan Missionaries of Mary, founded by Blessed Mary of the Passion in 1877, number 7,050. 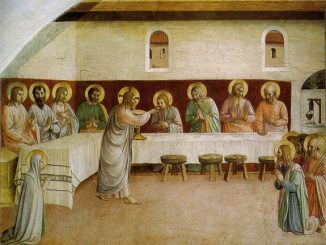 Combining Eucharistic contemplation with missionary activity, they serve on six continents and are most active in Asia and Europe. Unlike other leading women’s religious institutes, the institute displays on its website numerous pictures of members without habits. The institute’s membership declined by 189 between 2006 and 2008. The Franciscan Clarist Congregation, founded in 1888, is based in Kerala, the southwestern Indian state that has been the nation’s center of Catholicism since its evangelization by St. Thomas the Apostle. Canonized by Pope Benedict in 2008, St. Alphonsa of the Immaculate Conception (1910-46)—a Franciscan Clarist, and the nation’s first canonized saint—combined the spirituality of St. Francis with that of the Easternrite Syro-Malabar Catholic Church. The congregation, which serves the elderly, orphans, lepers, AIDS patients, and others in need, has 6,984 members—a gain of 62 between 2006 and 2008. The Congregation of the Mother of Carmel is another Indian religious institute largely unknown in the West. Founded in 1866 by Blessed Kuriakose Elias Chavara, the congregation is the Syro-Malabar Catholic Church’s first women’s institute. These active Carmelite sisters work in 500 schools and run 18 hospitals; their membership increased by 29 between 2006 and 2008 to 6,428. Unlike other large Indian religious communities, the Missionaries of Charity are renowned the world over because of the sanctity of their founder, Blessed Teresa of Calcutta (1910-97). Serving the poorest of the poor in 133 countries, the Missionaries of Charity have grown to 5,046 members, an increase of 154 between 2006 and 2008. Founded in Italy in 1832, the Sisters of Charity of Saints Bartolomea Capitanio and Vincenza Gerosa serve in the fields of education, health care, and catechesis. Though present in 20 nations, the majority of the institute’s houses are in India and Italy. Membership in the order stands at 4,967, a decline of 186 between 2006 and 2008. Benedictine nuns, characterized throughout their history by devotion to the liturgy, work, and hospitality, live in 299 communities around the world, the majority in Europe. Their numbers have fallen to 4,613, a decline of 119 between 2006 and 2008. Rounding out the list of the 10 largest women’s religious institutes, the Syro-Malabar Sisters of the Adoration of the Blessed Sacrament, founded by Bishop Thomas Kurialacherry in 1908, have spread to 100 dioceses. Centered upon Eucharistic adoration, the sisters also serve in the areas of education, health care, missionary work, and publishing. In the past decade, they have begun to staff missions in Kenya and Tanzania. Their membership now stands at 4,583, an increase of 64 between 2006 and 2008. With five of the 10 largest women’s religious institutes now headquartered in India—where only 1.6 percent of the world’s Catholics live—India has become the worldwide center of women’s religious vocations. The number of professed women religious in India grew by 9,398 between 2002 and 2007. While India has nearly 50 million fewer Catholics than the United States does, it has over 30,000 more women religious. If St. Louis is sometimes called the “Rome of the West” because of the number of religious who once served there, it would be far truer to call Ernakulam-Angamaly in Kerala the “Rome of the East.” Ernakulam-Angamaly is the see of the head of the Eastern-rite Syro-Malabar Catholic Church, which has just under four million members. Although the Syro-Malabar Catholic Church has 200,000 fewer Catholics than the Archdiocese of Los Angeles, it has 30,000 sisters— more than half of them members of the Franciscan Clarist Congregation, the Congregation of the Mother of Carmel, and the Sisters of the Adoration of the Blessed Sacrament. Asia’s success in attracting religious vocations is not confined to India. Vietnam, South Korea, the Philippines, Indonesia, and Myanmar are also among the 25 nations that witnessed the greatest increase in women’s religious vocations between 2002 and 2007. If India’s growth in women’s religious vocations has been the greatest, Africa’s growth has been the broadest. The continent is home to 14 of the 25 nations that witnessed the largest growth in women’s religious vocations between 2002 and 2007. In the war-torn Democratic Republic of the Congo—where fratricidal conflicts have claimed the lives of 5.4 million since 1998, leading the nation’s bishops to warn last November that a “silent genocide” is taking place—Father Jean-Baptiste Malenge, OMI, spokesman for nation’s bishops, dates the surge in women’s religious vocations there at around 1980. “In 1960, there was the independence of the country colonized by Belgium,” he explained to CWR. “The Belgian missionaries, in the majority, evangelized the country. And the fight for independence also meant the fight against evangelization.” After the Second Vatican Council, he continued, many priests and religious abandoned their vows, dealing another blow to the Church. Then, as the Church experienced persecution—the archbishop of Kinshasa lived in exile in Rome, and President Joseph Mobutu banned Christian names and the celebration of Christian holidays—the Church in the Congo experienced a revival. Many vocations to the priesthood and religious life, he said, began to come from youth movements such as the Archdiocese of Kinshasa’s Bilenge ya mwinda (Young People of the Light). “Thus, the Eucharistic presence becomes the impulse that draws women to concentrated life.” Ogbonna added: The Church in Nigeria, especially the Igbos and the ethnic groups of southeast Nigeria, have experienced an increase in women’s religious vocations over the last 30 years because of the religious culture in Nigeria, which helps to bring young girls from early childhood through their teens [and] to instill in them the values of womanhood and responsibilities of their future vocation.… Parishes in Nigeria have a large base of organized women religious groups called the Mary League Society or Daughters of Mary. These groups, which are composed of mainly teenage girls and young women, are instructed and groomed to follow the example of Virgin Mary, the Mother of Jesus. Catholic parishes in Nigeria pay great attention to them and dedicate one day a month to them, the first Friday of every month.… This [has] provided a rich, fertile ground for vocations and religious calling for the women in these groups.